​More US schools are turning to natural gas, away from dirty coal and expensive electricity. For many of them, budget squeezes and environmental concerns are the driving forces. 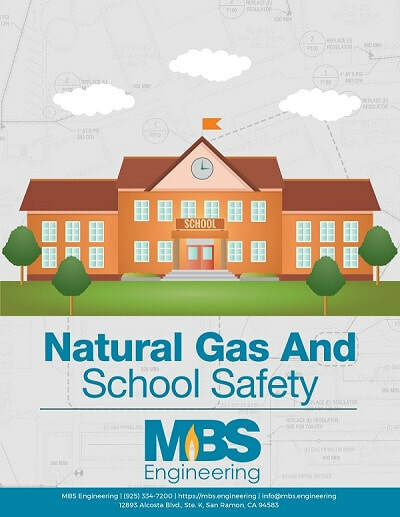 Natural gas is becoming part of the essential infrastructure necessary to keep schools in operation. But it does carry risk. MBS Engineering is dedicated to identifying and minimizing risks to schools, students, teachers and faculty. 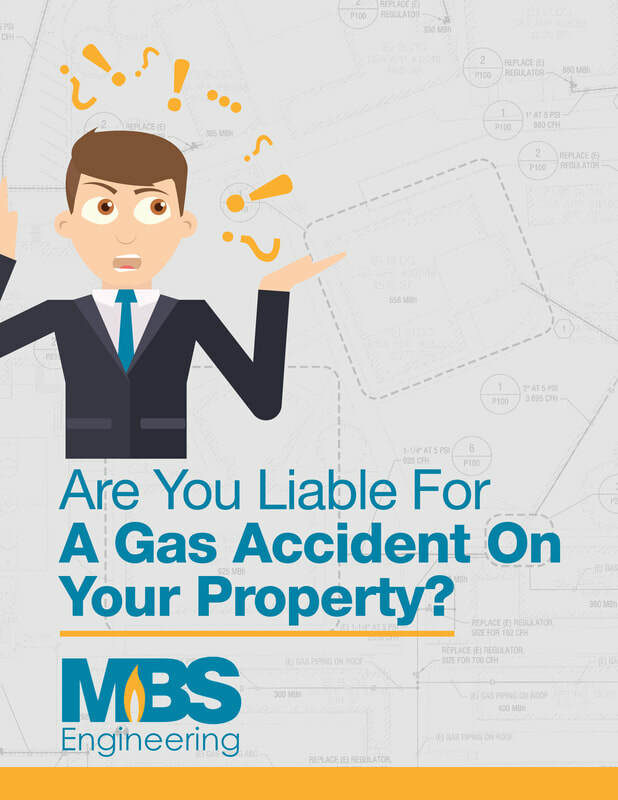 ​Most natural gas accidents result from mishandling and improper maintenance practices. By keeping a few simple rules, schools can get the most out of their systems, without endangering the lives of kids and adults in the environment. The boiler room is one of the areas with greatest potential for accidents. Keep boiler rooms aerated and do not use them as storage space. Institute proper and clear safety procedures/emergency guidelines; such as, what to do if someone detects a gas leak. Draw up clear communication guidelines between those who manage the energy systems and those who run the school. Complete inspection of the systems for leaks, corrosion, mismatching equipment & fitting, etc. Seismic Shutoff Valves: automatically shut gas supply when an earthquake of sufficient magnitude occurs. 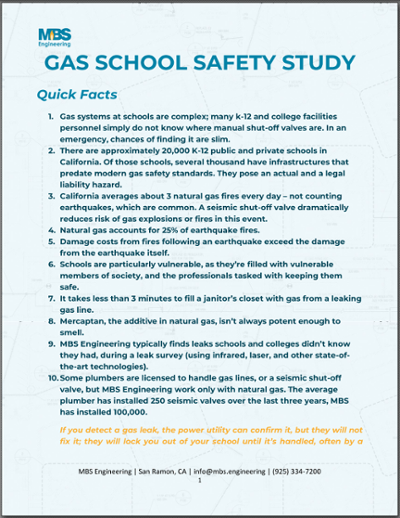 Schools *can* have legal exposure for natural gas accidents on campus, if they are found to be grossly negligent. Find out how to keep your students and your school safe - in every way.